DOOGEE brings a series of new flagship devices to MWC 2018, including the DOOGEE V BL12000, Mix3/Mix4 and a whole X series (X50/X53/X55/X60L). The most attractive handset is the newly launched DOOGEE V, the world’s first in-display fingerprint smartphone with a U-shape notch. It is not only a brand new way to lock your handset, but also a revolution in smartphone design. The typical home button with a fingerprint sensor below is replaced by an in-display sensor, making the unlocking process modern and faster. Without the home bottom, a larger integrated screen gives an immersive feeling when we’re playing games or watching videos, and the upgraded hardware enhances DOOGEE V’s performance. The storage is increased to 128GB with 8GB RAM, allowing efficient multi-tasking and an improved operating speed. DOOGEE V is also designed with a U-shaped notch for the maximization of the screen, a unique idea which originated from Apple Inc in order to create a bezel-less display on the iPhone X. 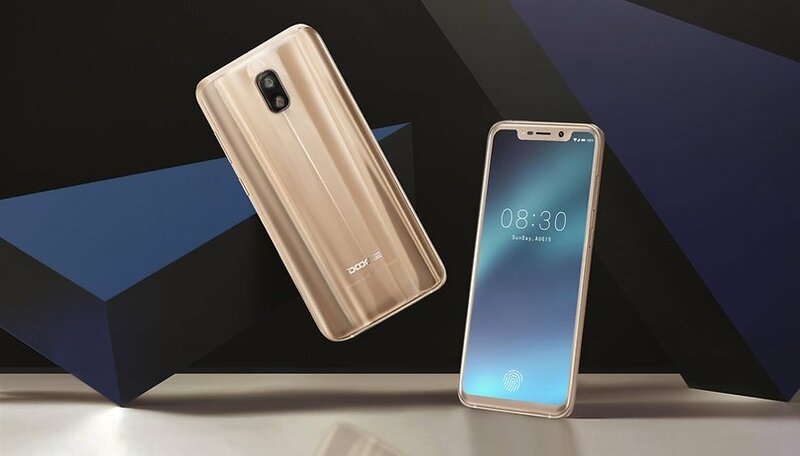 Another futuristic phone is the DOOGEE MIX 3. It features a rotatable camera, combining the front and the rear camera into an integrated one. With the assistance of the enhanced concentrated apparatus, MIX 3 produces clearer and sharper pictures. The rotatable holder controls the direction of the lens, so you can capture the picture at various angles. DOOGEE MIX 4 is a prominent smartphone with its sliding screen. It was inspired by the retro sliding phone, which was popular some decades ago. This new creation is composed of two thin modules. The upper module entirely consists of screen, and the lower module has the discreet in-display fingerprint reader. With the seamless combination of these two components, you won't not see the notch or chin in the world’s largest screen-to-body ratio phone. Once you open the device, the subtly lined camera, approximate sensor and the receiver will surely amaze you. All of the above are the main presentations from DOOGEE during MWC 2018. Besides these modern devices, DOOGEE also brings the new trend of smartphone screen technology to the world, which is going to be larger, tougher, clearer and thinner. There will be more opportunities for the future smartphone. Which of these great phones is most interesting to you? We were at the Press Conference at it was interesting to see how a small company that was started just 5 years ago has come so far. The people behind DOOGEE are super nice :) hopefully we will get a test device for all of these three.